Being a people who live to give The world around us is constantly bombarding us with messages of self-fulfillment. We are told to find ourselves and do whatever makes us happy. But that message is completely opposite of how Jesus lived and taught. In fact, Jesus gave everything—his very life—so that we can find peace, fulfillment, purpose, and meaning in a relationship with the God of the universe. Because Jesus gave so that we may live, we now give to Him and others. 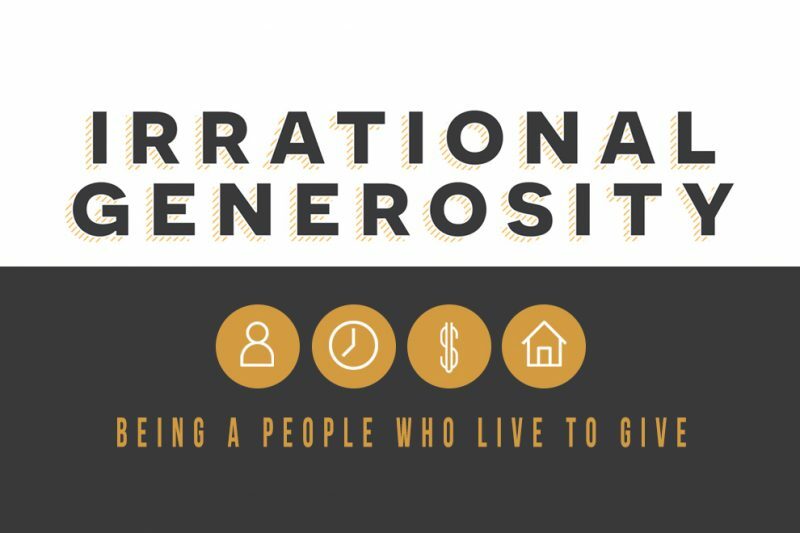 As Jesus followers, and as His church, we are to live in the same manner as our savior—a life of irrational generosity. Join us as we learn what it means to be a people that live to give.